This week we delve into the mind of Altitude’s Engineering Director Marc Polican. He’s taking a break from writing lines of codes and he gives us his insights on game development and just what makes a Game Dev’s mind tick. What is your nickname, rank, and serial number? The first game I played was Super Mario Bros on the Family Computer, it’s awesome! Never finished it though. I like many of the Final Fantasy games (III or VI, VII, VIII, and X). These were the games I actually finished! I tend to cheat or not finish most other games. Final Fantasy VI. Everybody loves a classic. What’s the hardest part of being a programmer? While in my last 2 months in college, I received an SMS saying something like: “Hi, I’m from Anino Entertainment, we’re looking for a game programmer. Please come to our office for an interview.” At first I thought it was a joke. I did a little research and it turned out to be a real company 🙂 I got hired and have been making games for a living since then. It was entitled: “Anito: Defend A Land Enraged”. It was a PC adventure game we released in 2003. That’s where I met my other co-founders Gabby and Luna. Anito clearly made a huge impact in both Luna’s and Marc’s journey through game development. Run Run Super V, of course! This is my first project using Unity. I am very impressed with it. It lets me focus on making the game instead of writing engine code. The asset store is a big time-saver as well. 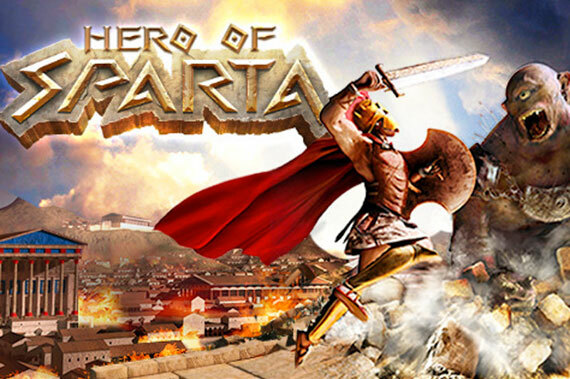 One of my favorite projects was a PSP title called Hero of Sparta in a previous job. It was my first time to work on an actual game console. Working on it was both hard and fun because I had more direct access to the GPU and CPU of the psp. That was very interesting to me. I’m working on Run Run Super V right now. We’re still iterating on it and adding new features. I was using C++ to write game code for the past 10 or so years. I could label that as my favorite, I guess :p I’m using C# for writing Unity scripts now. I tend to like it as well. Play games to get ideas and inspiration. Keep programming games to keep your skills sharp. Keep learning. Be open to changes. Welcome a challenge. And most of all, have fun. If you don’t find making games fun, there are other better-paying careers out there. I’m still making games because I find it fun and challenging.